October 2013: This month, Dubai will witness the much anticipated launch of the famous Armenian restaurant from Beirut, Mayrig. 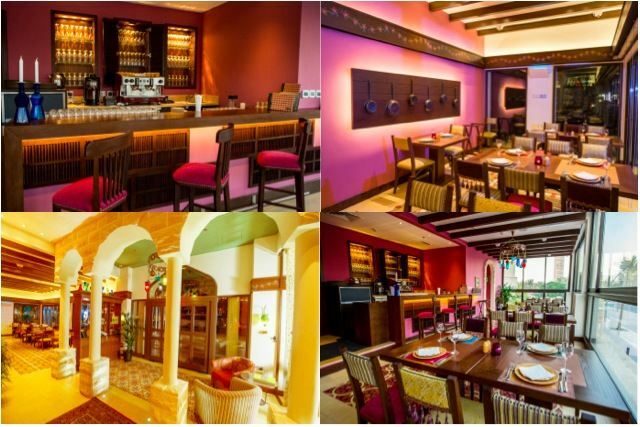 Over the past 10 years the renowned Armenian restaurant has become something of an institution, in the Lebanese capital bringing its inimitable food and charm to Dubai. From Beureg to Fishna kebab, from lentil salad to Mante, Mayrig brings to Dubai an explosion of tastes and flavors to be discovered more than once. The cherry on top is the cheese maamoul dessert which recipe remains a family secret handed down from one generation to the next. Mayrig Dubai is located on the Boulevard Downtown. Whether you choose to sit indoors or out, the restaurant is decorated with meticulous attention to detail, giving the authentic feel of a traditional Armenian home highlighted in rich jewel tones and plush fabrics. Mayrig’s menu consists of famous, traditional recipes which have been handed down through many generations. With Mayrig, comes a new and exciting addition to the Dubai restaurant scene, the first restaurant to offer authentic Armenian cuisine in the city. A sensory burst of tastes and flavors await diners in the homely space. The welcoming outdoor terrace is the perfect spot to enjoy shisha as guests watch the world go by on the lively thoroughfare in the centre of Dubai. Mayrig is the passion of owners Aline Kamakian and Serge Maacaron. Aline, a Lebanese of Armenian origin is the head of a successful brokerage company in Beirut. In 2003 she opened Mayrig restaurant in Beirut together with her cousin Serge, realizing their childhood dream. Aline is a passionate cook who owes her love of food and flavors to her mother, and the generations of women in her family.In November 2011, Aline published her first book “Armenian Cuisine” -. Whether through writing, cooking or her restaurants, Aline's passion is to share the rich Armenian culinary culture and offer her work as a tribute to all Armenian mothers, hence the moniker “Mayrig”, which means "little mother" in Armenian. Serge Maacaron was born into a food-loving family. Serge spent a decade working in the insurance and real estate family business. In parallel, he joined forces with some friends and launched several dining venues. 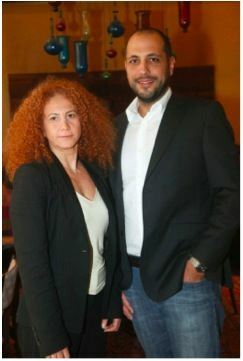 In 2003, he decided to pursue his initial passion and founded Mayrig with his cousin Aline Kamakian. His love for flavors, details, and people is what Serge draws upon to constantly bring out the best in Mayrig's dishes, setting and atmosphere. @Pink_Polo Pink Polo is back!